A piece I wrote for Scottish Artist Martyn Mckenzie’s Looking North and South Series watercolour collection. This group of work focused on the landscape of Edinburgh’s Firth of Forth and Nice’s Cote d’Azur. Martyn’s South Series has been shortlisted for The Sunday Times Watercolour Competition, 2015. The Peir, Edinburgh. February 2013. It is during a long dark winter that the greatest ideas grow. After nine months in warm clothes, the pleasure of a bright Spring day is heightened. Patience is born in a land like this. Newhaven sits on Edinburgh’s edge, looking out on the Firth of Forth. From his bedroom window on Starbank Road, the painter Martyn McKenzie watched scenes dissolve into one an other, hour by hour. Framed by white shutters, the milky water turned grey, the sky turned pale, the day glowed twilight blue. Patience is not thrilling. There is no mystery involved. 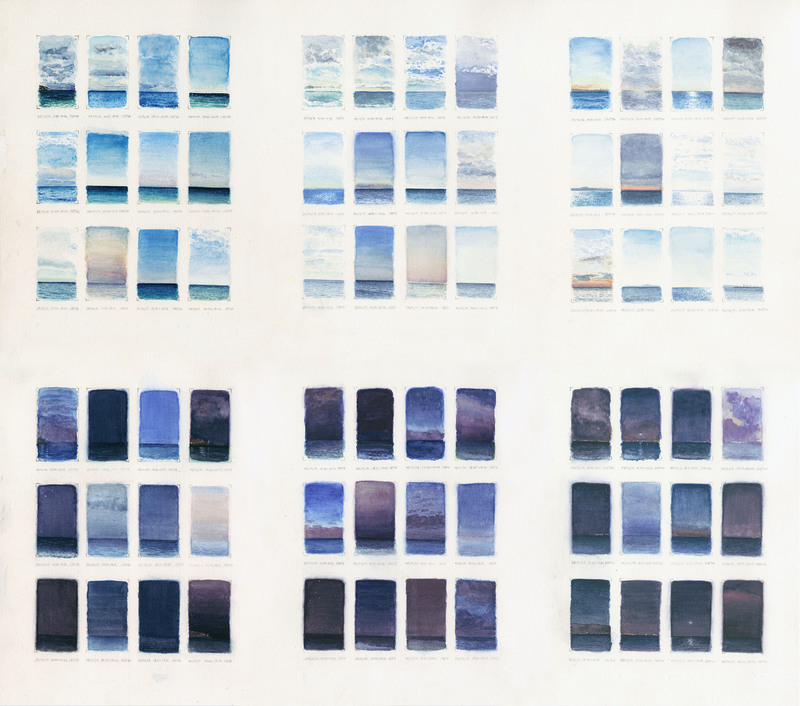 The artist observed these transitions from day to night, religiously recording tiny oil vignettes of the horizon. 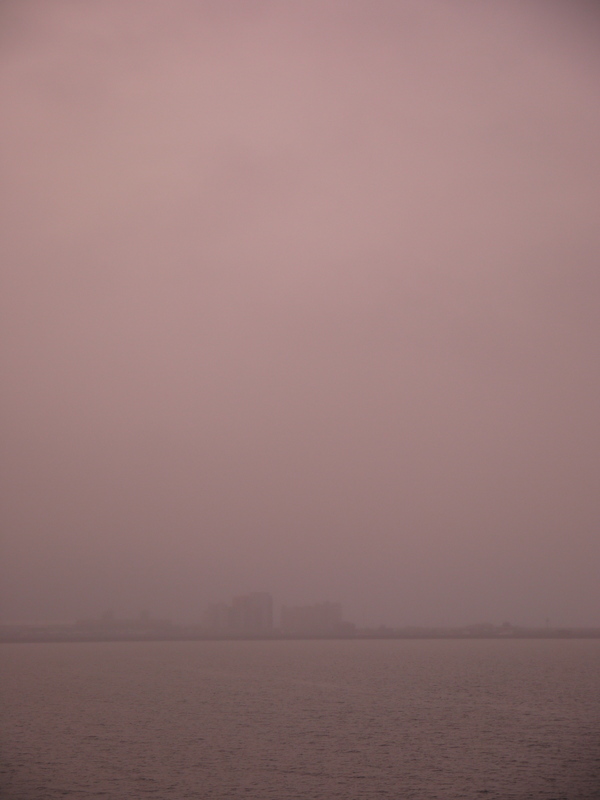 The result is Estuary East, a record of time, snapshots of days veiled in white and grey and early morning pink mist. Ancient visions of land and water slowly give way to nightfall, with only the glow of the lights punctuating the scene – an indication of human presence. There was no period of discovery. It was a reminder to look, to pause, to reflect and to consider surroundings. At times we are so familiar with a scene that we can no longer see its worth. We feel frustrated and search for the ‘other- land’ – imagined escapes to elsewhere. Our greatest risk is the contentment that we have seen everything clearly, and then, attention wandered, it becomes too late. Now the veils and vapours of this landscape are a memory – a reminder of home. Pink Mist, Starbank Road, Edinburgh. March 2013. What are the advantages of a Northerner in the South? The chance to see the world in a different light? The opportunity to gain a sense of equilibrium? There are no veils of mist on the Côte d’Azur, just clear bright light. The water is vibrant blue and the rain only falls in fat droplets, but the day still moves and changes. We buy postcards of exotic lands far from our own, but often we fail to remember the significance of the place we travelled to. We have difficulties seeing the landscape because we have trouble accepting the experience for what it is. At home we overlook what we have and elsewhere we search for the pre-conceived experience. The postcard becomes a symbol of our trip pasted into the album. It reminds us this happened. 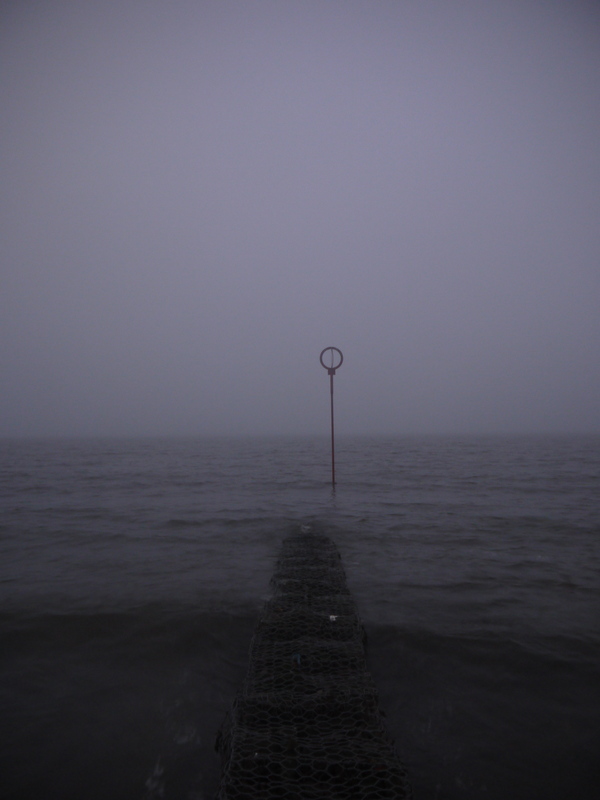 Seascapes are a classic postcard scene, but Martyn McKenzie’s Looking South series evokes something quite different. His many horizons and their shifting states never reach the border of their carefully drawn frames. Instead, the curved edge of each little observation suggests infinite space, miniature energies burning on the page, expanding and contracting. 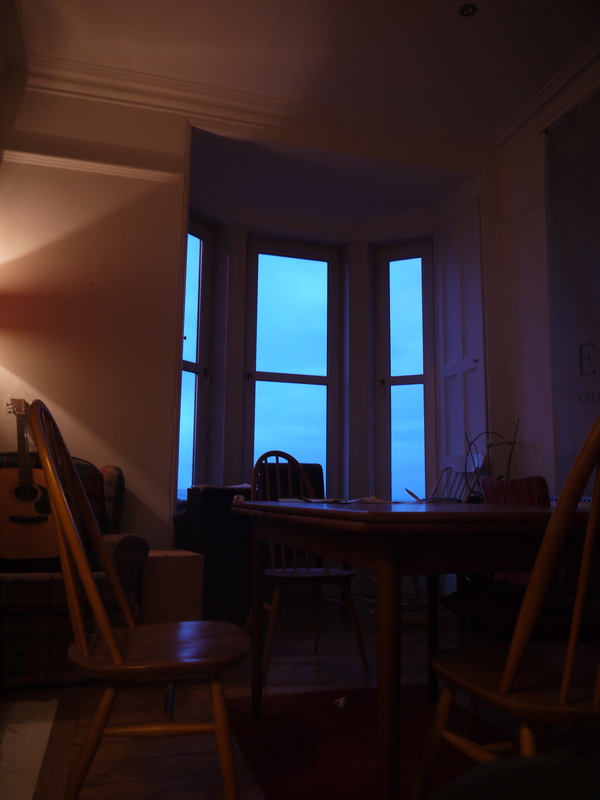 The night studies are particularly alluring, the six o’clock twilight representing a truly transitory moment, a lens focusing in on one of nature’s most subdued shifts. A boat moves across the horizon. An orange light burns in the distance. These are manmade marks, fleeting moments distilled into watery evocations. The process tells us to stop and look wherever we are and to take in the moment before it escapes us. Internalised, it reminds us we are bound to truth and to a changing earthly rhythm. South Series, Nice, France. Watercolour on Paper. 2014-15.